Around 25 million packages are delivered in Europe every day and current delivery processes are nearing peak efficiency, with little room left to improve. Now is the time for a logistics revolution! Share your innovative and sustainable solution for improving the last mile of the package delivery process. The best solution will win a prize of 5,000 Euro, second prize is 3,000 Euro and third prize 2,000 Euro. Public voting will award an exceptional idea with a special People’s Choice Award of 1,000 Euro. 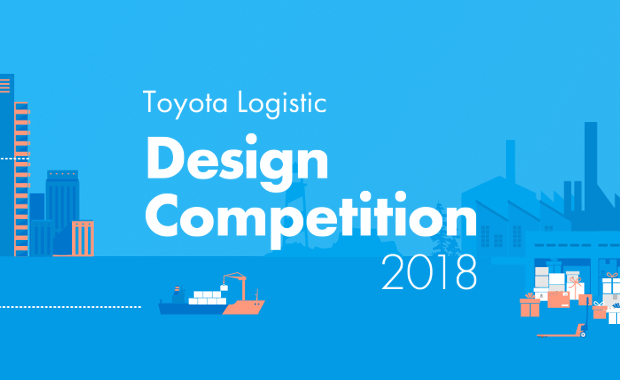 Additionally, all winners will have the opportunity to apply for a six-month paid internship at Toyota Material Handling Europe Design Center. The organizers are seeking for visual concepts that demonstrate quality and clarity, incorporate the Toyota heritage and its core product values and meet the judging criteria. Concepts should also be innovative and environment-friendly. This competition is open to university design students and recent graduates (2017) of an accredited European university. Applicants can enter individually or in teams of up to three members. The competition is hosted by Toyota Material Handling Europe Design Center.